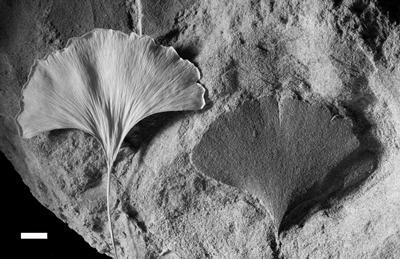 Living Ginkgo leaf (left) and fossil (right), used as proxy of atmospheric CO2. Credit: Dana Royer. New research led by the University of Southampton suggests that, over the next 100 to 200 years, carbon dioxide concentrations in the Earth’s atmosphere will head towards values not seen since the Triassic period, 200 million years ago. Furthermore, by the 23rd century, the climate could reach a warmth not seen in 420 million years. This wealth of data shows that CO2 concentrations have naturally fluctuated on multi-million year timescales over this period, from around 200-400 parts per million (ppm) during cold ‘icehouse’ periods to up to 3000 ppm during intervening warm ‘greenhouse’ periods. Although evidence tells us our climate has fluctuated greatly in the past (with the Earth currently in a colder period), it also shows the current speed of climate change is highly unusual. Carbon dioxide is a potent greenhouse gas and in the last 150 years humanity’s fossil fuel use has increased its atmospheric concentration from 280 ppm in the pre-industrialisation era to nearly 405 ppm in 2016. However, it’s not just CO2 that determines the climate of our planet, ultimately it is both the strength of the greenhouse effect and the amount of incoming sunlight that is important. Changes in either parameter are able to force climate change. This long-term view also offers a valuable perspective on future climate change. It is well recognised that the climate today is changing at rates well above the geological norm. If humanity fails to tackle rising CO2 and burns all the readily available fossil fuel, by AD 2250 CO2 will be at around 2000 ppm – levels not seen since 200 million years ago. 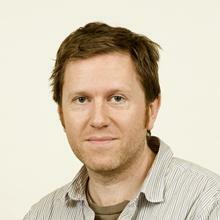 This collaborative study involves the University of Southampton (UK), University of Bristol (UK), and Wesleyan University (US) and is an output from ‘Descent into the Ice House’, one of the four research projects under the umbrella programme ‘The Long-term Co-Evolution of Life and the Planet’ funded the by the Natural Environment Research Council (NERC).